SEGA's most requested re-release of all time finally comes to a new generation. Shenmue delivers an epic story of revenge within a unique open world that is still unrivalled in depth and detail. Return to the epic saga that defined modern gaming. The saga begins...again. Originally released for the Dreamcast in 2000 and 2001, Shenmue I & II is an open world action adventure combining jujitsu combat, investigative sleuthing, RPG elements, and memorable mini-games. It pioneered many aspects of modern gaming, including open world city exploration, and was the game that coined the Quick Time Event (QTE). It was one of the first games with a persistent open world, where day cycles to night, weather changes, shops open and close and NPCs go about their business all on their own schedules. Its engrossing epic story and living world created a generation of passionate fans, and the game consistently makes the list of "greatest games of all time". In 1986, teenage jujitsu artist Ryo Hazuki returns to the dojo of his father, Iwao Hazuki, only to witness his murder by a Chinese man, Lan Di. Lan Di steals a mysterious artifact known as the Dragon Mirror. Ryo vows to avenge his father's death and sets out tracing Lan Di's path. 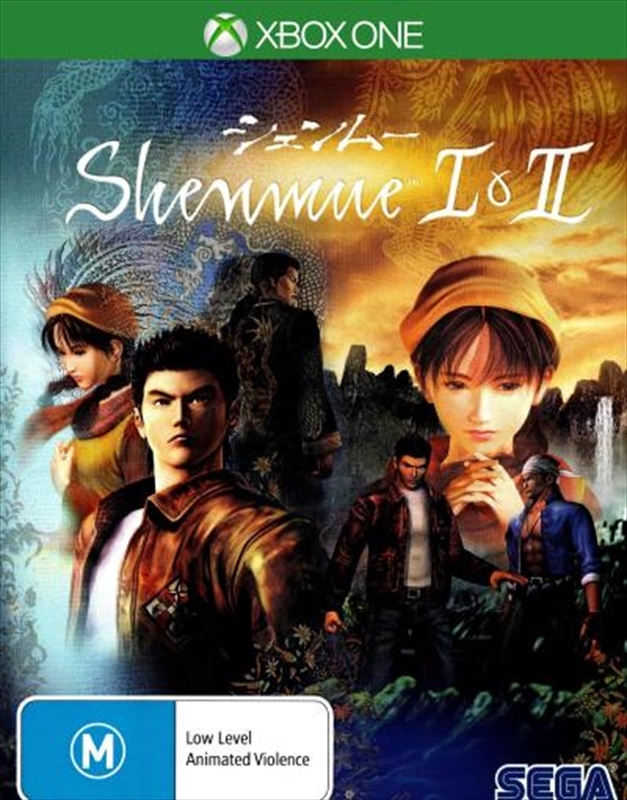 The first game in the series, Shenmue begins the tale as Ryo travels around Yokosuka, Japan, gathering clues about his father's murder and dealing with nefarious gangsters along the way. The sequel Shenmue II continues Ryo's quest, this time crossing the sea to Hong Kong, China. Ryo ventures deeper into the criminal underworld, meeting martial arts masters who aid him on his journey and offer insight into his father's death, and unravels the mysteries of the Dragon Mirror that his father kept hidden. Take the role of Ryo Hazuki. Explore a 3D open world searching for clues, examining objects, and talking to NPCs. Battle enemies and bosses making full use of the moves of Hazuki-style jujitsu. Beat quick-time events (QTEs) and mini-games.